Thank you again to everyone who helped us celebrate 3 years of creating together with 5 out of 4! 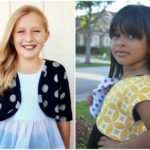 It was a great week filled with a few mini games, our sewing contest, a site-wide sale, and of course the rafflecopter filled with lots of amazing prizes! 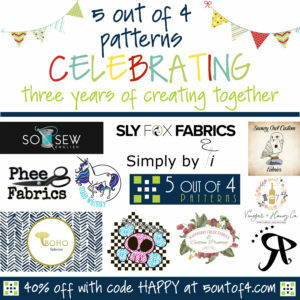 We had some wonderful fabric groups join us for our celebration and we want to again thank Sly Fox Fabrics, RP Custom Fabrics, So Sew English, Made Whimsy, Simply by Ti, RockerByeDestash Fabrics, Phee Fabrics, Boho Fabrics, Raspberry Creek Fabrics, Snowy Owl Custom Fabrics, Vinegar & Honey, and Zenith & Quasar. And of course to everyone who participated and help make it a success.